After a winter of indulging in baked goods and comfort foods, I could tell my body was being weighed down with toxins. Luckily Claudia came to my rescue with this perfect spring cleaning solution - for the body and mind. She is the owner of Cruda Café and offers an easy 2 day cleanse ($160) for people interested in a quick and healthy detox. I prepped my body by eating a plant-based diet. My menu included sprouted cereals and blueberries in the morning, a kale salad with cucumbers and cliantro-lemon dressing in the afternoon and clear broth soup with steamed veggies in the evening. Throughout the day I snacked on fruit and drank herbal teas and apple juice (which helps to open the gallbladder to release extra toxins). These colourful bottles of juice contained my breakfast, lunch and dinner for the next 2 days. I would consume one at approximately 1.5 hours apart while drinking plenty of water in between. I found each juice uniquely different from the next but they were all equally tasty. The spring water with lemon, cayenne and maple syrup was what I drank first thing each morning. The alkaline green juice with cucumber, green apple, lemon, kale and drops of phytoplankton was tart and refreshing. My favourite was this liver loving juice because it was such a unique and delicious blend of beets, carrots, parsley, ginger, cayenne and aloe vera. For an afternoon sweet treat, I had the very berry smoothie with blackberries, blueberries, spirulina, spinach, banana and sunflower sprouts. The mega cleansing had carrots, lemon, apple and ginger to give my kidney a kick of goodness. And my last juice of the day was this skin-loving super smoothie made with kale, banana, apple, sunflower sprouts and E3 Live. Day Two: Cleanse and Repeat! On the second day, I did it all again! Oddly enough I didn't feel hungry but instead felt really alert and awake. With my new found energy I decided to attack those dust bunnies hiding in the corner and declutter my home. Claudia had mentioned that purifying the stagnant winter energy and removing pathogens is like unpeeling the layers of obstructions that may be affecting your overall health and vibrancy. Later in the afternoon, in my new zen-like surroundings, I mediated and engaged in Xbox Kinect yoga. I've always wanted to do a cleanse but I'm also one of those girls who can pack man-size portions for all three meals everyday (as my husband puts it). So while I was up for the challenge, a part of me wasn't so confident that I would actually be able to survive on liquids for 2 whole days. Well, I did it and honestly, it wasn't difficult at all! The first 12 hours was probably the hardest. By noon, my tummy was doing a dance pleading for food but I kept myself well hydrated and by the time I went to bed, the hunger pains subsided. I did experience a pretty intense headache but Claudia assured me this was normal and a part of the detox. What happens is the toxins can cause muscle tightness in the neck and shoulders which result in tension headaches. I was able to relieve the aches by rubbing Vicks on my temples and sleeping it off. A lot of people wanted to know if I lost any weight. Yes, I did lose 4 pounds but honestly, the goal of my detox was not to lose weight. If you want to shed the pounds (and keep it off), it is going to take more than a weekend of juice guzzling. 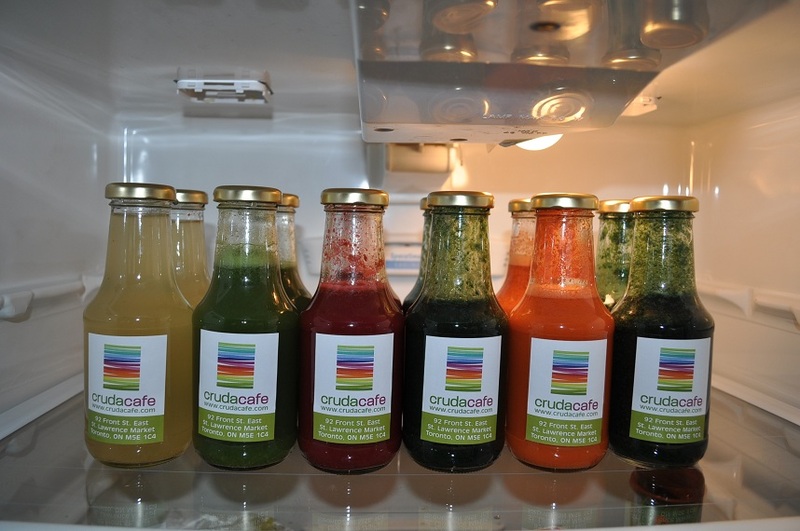 I took part in this detox because I wanted to feel energized and renewed again and Cruda Cafe's juice cleanse accomplished that exact goal. Spring and summer is the best time to do this just because when you don't eat, your body temperature drops. So have some cozy wool socks handy! I also think it is better to do it during the weekend so you can relax at home and not worry about work (or dealing with co-workers who coincidentally walk by with their lunches and snacks). Keep yourself busy. On the first day, I sat around and took it easy but I ended up thinking a lot about food (especially what my first meal was going to be after the detox)! With that said, it is fine to be active but skip the gym or any strenuous activities. I recommend catching up on your movie rentals or that stack of abandoned fashion mags. Take a bath with Epsom salts before you go to bed. It's like a sedative for your nervous system and brings calmness to your mind. Expect to sleep like a baby! Drink plenty of filtered water! Hydration is the key to a healthy detox. You may want to advise your doctor before you start any cleanse and let him/her know immediately if you experience anything abnormal or strange pains. Be open-minded. I admit I did complain for a good hour about how hungry I was but eventually I realized that I was doing my body good. Remember, it is ok to suffer a little and go to bed hungry! 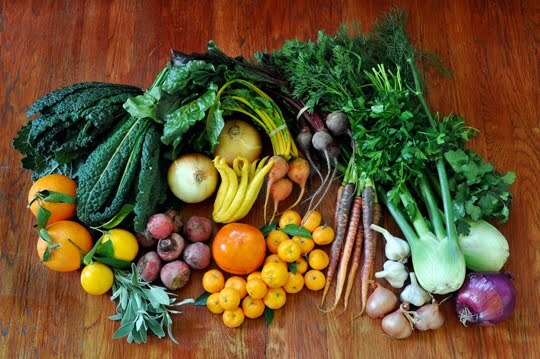 Are you ready for your own spring cleanse or just want to indulge in some yummy raw vegan and gluten-free foods.? 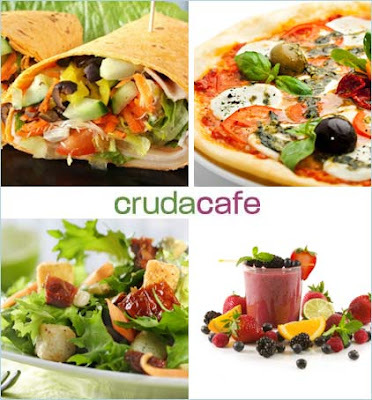 Visit Cruda Café on 93 Front Street in the St. Lawrence Market. Note: the juices are freshly squeezed so please call Claudia at (647) 346-6502 to order in advance. Definitely going to make this an annual tradition. It was a really interesting physical and mental challenge, but the benefits were worth it! You will totally savor the first bite of food on Day 4.